با توجه به روی کار آمدن حافظه های قابل حمل، همچون فلش مموری ها، میزان استفاده از انواع سی دی و دی وی دی ها بسیار کاهش یافته و بسیاری از افراد برای انتقال داده و اطلاعات خود از این قبیل حافظه ها استفاده می نمایند. بنابراین اگر شما نیز جز آن دسته از افراد هستید و می خواهید ویندوز خود را از روی فلش مموری نصب نمایید، نرم افزار WinSetupFromUSB برای شما بسیار مفید خواهد بود. این نرم افزار فلش مموری شما را به شکل دیسک بوت در می آورد و شما را قادر می سازد تا به راحتی بتوانید ویندوزهای XP, 2000, 2003, Vista, 7 و 8 را از روی فلش مموری نصب کنید. This application will offer you the solution to installing Windows or Linux version using a USB flash drive. 1. 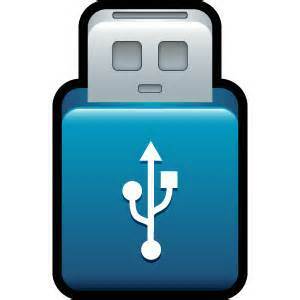 First make sure you have a properly formatted USB disk or flash media. It must have a MBR and an active partition set. a) USB flash media- format it with RMPrepUSB selecting "Boot as HDD" and "XP bootable" options. Note that it will DELETE all partitions. NTFS is reported faster on some systems, your USB stick parameters are also factor. Whereas NTFS generally is not recommended for USB flash media, if you are not planning excessive usage, but rather occasional installs from it, then it should be safe to use it as long as you can boot from it. There is another way to format USB flash media- to use filter driver, such as Hitachi microdrive filter driver or dummydisk.sys (included, look in FILESMULTIpartitionUSBstick folder). Using such driver will 'make' your stick to appear to Windows as fixed disk. In this case, when formatting Windows will write MBR on in with partition information. You may now use Disk management console, or third party programs to make multiple partitions and format them as you desire. NTFS performs way faster on some systems, or with some USB sticks. However, keep in mind that depending on usage and USB stick quality, it may "wear it out" quicker. b) USB hard disk- format it from within Windows and make sure you set active partition! In both cases USB boot is not guaranteed! That depends on your BIOS/motherboard, how disk is formatted and what file system etc. In general FAT16 is the best bet for compatibility, next is FAT32, then NTFS. In some cases different format tools may set improper geometry. 3. Select target disk from the drop-down menu. Windows Setup can be started only from the first partition on the disk! It does not have to be active. Sorry, this is limitation from Microsoft- in case of removable USB disk, it can't read any partition than first.